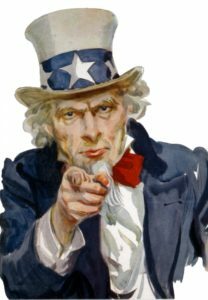 East Central District Wants YOU! Your to-do list just grew tenfold. The boss gave you an assignment with an absurd deadline. And that project that was on the back burner just moved to the front burner – and you must act before it rolls onto the kitchen floor. We all know there’s no such thing as a typical day, but I’m sure we all deal with such pressures on a frequent basis. One way to alleviate this pressure is to know the needs and priorities of your audience, customers and stakeholders. Your East Central District wants to do the same. Our annual survey is live, and we want to hear from you! Your input will be invaluable as we continue to shape our work to support you — the chapters and chapter leaders within our district. Oh, and because I know time is a valuable resource, by completing the survey you will be entered to win a $20 Starbucks gift card! The survey closes on Friday, Aug. 31. It can be found at https://www.surveymonkey.com/r/PRSA_ECD_2018. Thank you for adding your voice to the District’s work! Chris Kemper, APR, is a member of the Cincinnati Chapter. The statement below was released Aug. 16 by PRSA, the PRSA Foundation and eight other professional communication organizations to collaboratively express our support for the critical role of a free press and the First Amendment. With the unanimous support of your Board of Directors and staff leadership, it was done in concert with more than 200 newspapers across the U.S. who are today voicing, in their own ways, that ethical journalism, and freedom of thought and expression, are perpetually essential to democracy. In today’s political climate, there will inevitably be charges that this statement reflects a political stance or bias. It does not. Rather, it affirms the U.S. Constitution and the values that transcend political parties and other affiliations; in fact, the statement is co-signed by the Global Alliance and other organizations with significant international representation that also subscribe to those values. In that spirit, please feel free to add your voice to a monumentally important conversation. This oft-cited quote conveys the fundamental importance of today’s free press despite its articulation before electronic, digital and social media were invented. The dramatic expression by a founding father who was brutally criticized by the media of his time underscores that the standing of a free press transcends politics, geographies or other affiliations. Today, we join with our compatriots in the news media to proudly affirm the Fourth Estate as a vital engine of democracy. Without it, and without freedom of thought and expression as provided by the First Amendment, informed decision-making is not possible and individual freedoms suffer. From a global perspective, journalism serves all people through ethical pursuit of the truth. To read the remainder of this statement from Anthony D’Angelo, APR, Fellow PRSA, 2018 National Chair please click through to PRSA here. Make the most of your PRSA 2017 International Conference connections, share your experiences and career goals with a member of PRSA’s College of Fellows, a distinguished group of accredited PRSA members with more than 20 years of professional experience. The College of Fellows hosts 30-minute mentoring sessions from 4-6 p.m. on Sunday, Oct. 8, and Monday, Oct. 9. Sessions are offered as a premium benefit (at no cost) for PRSA members. Provide a fresh perspective on your career goals and timelinesSign-up deadline Thursday, Sept. 28. New members who join PRSA at the $255 membership level by November 30 receive a complimentary Chapter membership**, a complimentary Section membership**, and the waived $65 initiation fee. **RESTRICTIONS: If joining Counselors Academy, dues are $100 ($95 discount). Chapter dues are covered up to $100. This offer is not available for Associate member types ($200 or less annual dues) and is not available to current or renewing members. Please click here for details. The PRSA Board of Directors elected 11 practitioners for the College of Fellows Class of 2017, two of whom are from the East Central District. Mary Beth West, APR, Fellow PRSA, Principal, Mary Beth West Communications, Inc. They will be inducted on Oct. 7, 2017 in Boston during ICON. W. Thomas “Tom” Duke, APR, Fellow PRSA, the East Central District’s 2013 Platinum Award recipient, passed away on Sunday, June 18 in Akron, Ohio. He was 84. A graduate of Kent State University with a degree in journalism, Tom also completed the Advanced Management Program in Business from The Ohio State University. He began his public relations career in 1955 as an advertising and publicity assistant at the Ohio Edison Company in Akron. Tom was a man of “firsts.” He established the first community relations program for the Cooper-Bessemer Corporation and was the first Community and Public Affairs Manager at B.F. Goodrich before moving to the agency side, establishing the first public relations function for the Urda Company. After moving to Greenville, S.C. in the mid-1990s, Tom was the first Director of Public Relations at Jackson-Dawson Marketing Solutions (now Jackson Marketing, Motorsports & Events). He built a successful division that won the Michelin account, and he later served the agency as Senior Public Relations Counselor. Following his retirement in 2007, he returned to Akron and went back to work, opening his own consulting practice and working as Director-Communications for Akron SCORE, an organization mostly comprised of retired senior managers and executives that consults with existing and start-up businesses to help create jobs and improve the economy. His leadership in PRSA was exemplary. He was the founding president of the Akron Area Chapter in 1968 and 1969, having spun it off from the Cleveland Chapter. After he returned to Akron, he served as president again in 2010. He also was president of the South Carolina Chapter. In recognition of his service, Akron made him a life member in 1994 and South Carolina followed suit in 2005. In 2003, Tom was named the Distinguished Public Relations Practitioner in South Carolina and the chapter renamed the award for him in 2007. He received the Lighthouse Award from the Cleveland Chapter for lifetime achievement in 2012 and the East Central PRSA District lifetime achievement award in 2013. He was a member of the PRSA National Board of Ethics and Professional Standards and served his Kent State alma mater as a member of the Professional Advisory Board for the School of Journalism and Mass Communication. Mary Eaddy, APR, Fellow PRSA, recalled that “Tom’s exemplary commitment to professional ethics set a high standard for all. He was an excellent communicator devoted to advancing the public relations profession. He is survived by his wife of 28 years, Juanita, five children, six grandchildren and other relatives and friends. The family suggests memorials be made to the Tom and Juanita Duke Endowed Scholarship in Public Relations, c/o Kent State University Foundation, Inc., P.O Box 5190, Kent, Ohio 44242-0001. Condolences may be sent to Juanita Duke, 4169 Tomahawk Trace, Copley, Ohio 44321-2797.